You are first and foremost required to go to visit the website netflix.com/careers if you want to apply for a job at Netflix via the Internet. You will be rendered two application methods. 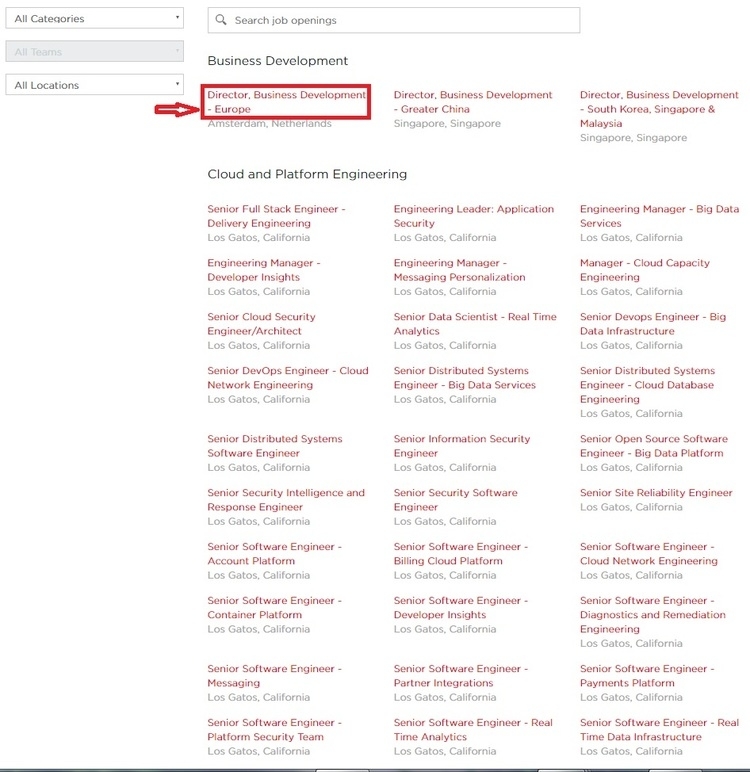 Choose the job categories and locations and enter a job title into the box to search job openings. Or you can click directly the position listed in the page. This article will take the latter method as an example to tell you how to apply for a job at Netflix. 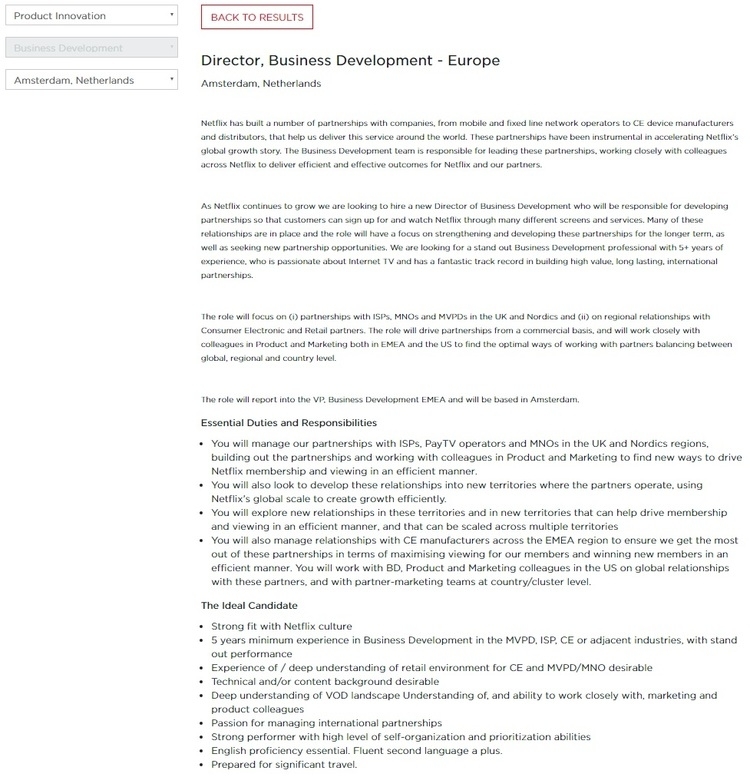 In this step, you need to learn about the position by browsing the job description page, so that you can know clearly whether this position suits you or not. Also, you can even prepare yourself for the interview on the basis of these information. You need to fill out your personal information and contact information in the required boxes. 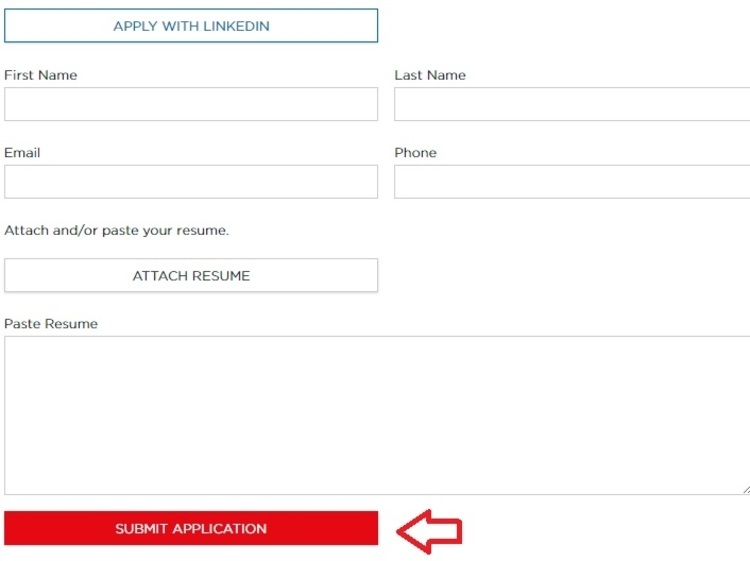 And a recent resume is demanded here, unload one from your computer or just paste it on the box directly, then click the SUBMIT APPLICATION button to go to the next step. Your resume is very important as Netflix, to make job application much easier, does not require applicants to build a new profile. With the three steps above finished, you've completed your online application process already. What you need to next is to wait for patiently the reply from Netflix. 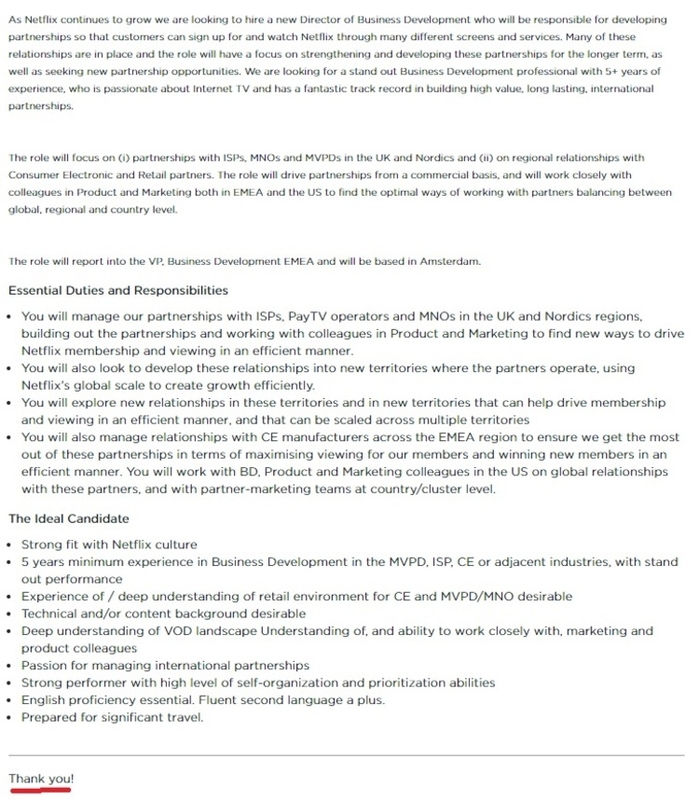 Click netflix.com/jobs to apply for Netflix jobs online.